It happened like this: While waiting in the cue, two guys in Peertracks polo shirts walked up, also foraging for lunch. We got to chatting, and they explained how they were building a way to sell music with blockchain technology (think Bitcoin), and take it directly peer-to-peer. “Like an iTunes killer?” I queried, eagerly asking if they’d do an interview. The result of this conversation is what you’ll hear in a moment. 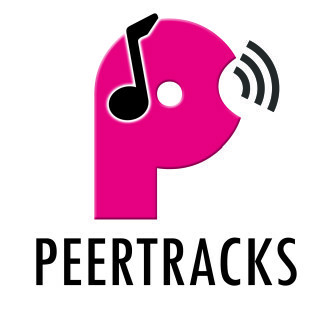 Founder Cédric Cobban took the time to explain how Peertracks is building a system that incentivizes music discovery, gives unprecedented access to fans by existing artists, solves metadata puzzles moving forward, slashes fees on sales by an order of magnitude, and creates brave new worlds of brand-artist collaborations. Best of all, the system they champion isn’t tied to their company. The platform is independent, transparent, and from what I can tell, the Future. Without further ado, here’s my conversation with Cédric. Josh Urban is a writer and musician in Washington, DC. He’s about to kick off the 2015 Kindness Exchange, an interactive global project to bring light into the holiday season. Join the movement at Joshurban.com/Kindness.